As a child and teen I vacationed at Chincoteague on Virginia’s Eastern Shore once or twice every year. I loved the island and the whole Delmarva peninsula, as the riding was good and flat and the area was nicely rural with great seafood. Then at the age of maybe 20 I was looking at a map and was dumbfounded to realize that Delmarva really was DEL-MAR-VA, for the three states that make up the peninsula: Delaware, Maryland, and Virginia. I had thought it was named after some early settler named Joseph Delmarva or something. Every now and then it is good to be reminded that you aren’t as smart as you think you are. I had the same experience about a year ago. 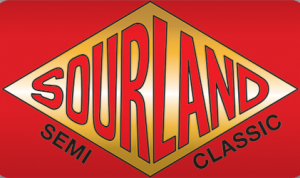 I was looking at the website of the Sourlands Semi Classic and it struck me: SSC. That logo looks like the red logo on a pair of Mavic SSC rim wheels I bought off Clydesdale Eric Lepping back in about 1988. The acronym for the Sourlands Semi Classic is the same as for Mavic’s Special Service Course (SSC). Duh. All of this inside-baseball talk is just a reminder that SSC meant extra tough back then: Today, it means that you might not want to do the the SSC ride on your lighter race wheels with expensive oh-so-supple race weight 700x23s. Some do, but I want a less stressful ride so I suggest wider tires and wheels that might be a bit tougher. What should be used if this is your first foray in to a mixed gravel/dirt/pavement event? I’ve done all of my several (3?) Sourlands Semi-Classic rides the easy way: On a relatively modern 10 speed cyclocross bike with 700×32 Performance brand Gotham tires. I like these tires because they are cheap, they are pretty much ‘true’ 32s in a tire world where some 32s look more like 28s and some look like 35s, and the tread is somewhat more road-ish than a full knobby cross tire. And did I mention they were cheap? If you have a cross bike with room for these tires, or a more modern road bike that has disc brakes, these tires will likely fit your frame. If you have traditional caliper brakes on a road bike, 32s likely will be too fat/tall. Most bikes that aren’t extreme race bikes will, however, take 28s. But what brand and model? I’m still experimenting and Googling on this, and welcome suggestions at redbrickbikes @ gmail.com. I know I need to try Vittoria open Pave CGs, perhaps in a 27mm width and at 85 or 90psi. Hutchinson has some options too, I think. A woman a few bikes back chimed in her agreement, and others agreed. Somebody tell Continental. Maybe they’ve made such a tire — I am just not on top of the rubber market. Otherwise, somebody let the frauleins who make the brand’s tougher tires know what we want! For this year’s SSC I am making a change. My recreational rider brother has a conflict and can’t do it, so I am free to ride at a bit of a faster pace. I have decided that I will use one of my favorite, and fastest regular old road bikes. This may go out the door if there’s been a lot of snow and rain in the two weeks before the event. I believe the road bike I am considering has a 26 or 27 big cog on the back and just a 39 on the front — that is enough for these hills. But what 28mm tires should I use? Maybe even 25s? I have more than a month at this posting to decide and test some options. What is the SSC event? It’s the first Kermesse Sport ride of the year, set for Feb. 25, 2018. It is designed to showcase some of the wonderful tough, beautiful paved and gravel roads of New Jersey’s sourlands region. It’s also aimed at paying tribute to some of the lesser known one day Belgian spring classics. It’s 60 or so miles is tough, but not as tough as the 80+ miles of March’s Hell of Hunterdon. Both events fill quickly by the way — they may already be filled! The SSC is a great first event for those wishing to get a taste of gravel or dirt. It is hilly and you may get muddy. Finishing it will make you feel tough. That’s good. It will prepare you for rides like the Hell of Hunterdon and the famous Tour of the Battenkill in upstate New York, an April event. I have done each of my SSCs on a cross bike with 32s — most experienced riders would say this is overkill, but I have played it safe until this year. Many use road bikes with thinner tires with less tread. I’ve seen hybrids and mountain bikes as well, on the other extreme. Whatever you choose, practice a bit on some slop roads or gravel trails. I play it safe and a bit slow on fast dirt downhills, but that is just me. Practice. Mountain biking and cross skills such as quickly evaluating the trail and gently finding the good, safe, fast line matter, and can best be developed by riding off road once or twice per week in the Fall and Winter. You’ll also learn to use momentum to get through slop, and that turning and braking aren’t always the best thing to do once you’ve hit the mud.